CNS Canada — A new United Nations report suggests just how climate change will reshape agriculture by 2050 — and that Canada’s production capacity stands to benefit. International trade will play an ever-larger role in helping to feed people in food-deficient regions, as warmer temperatures and less precipitation will damage yields in many tropical areas, according to the report from the UN’s Food and Agriculture Organization (FAO). Temperate areas, such as Canada and the U.S., are likely to see increases in agricultural production over that time. That situation is likely to widen the food supply gap between developed countries and developing nations, the report states. 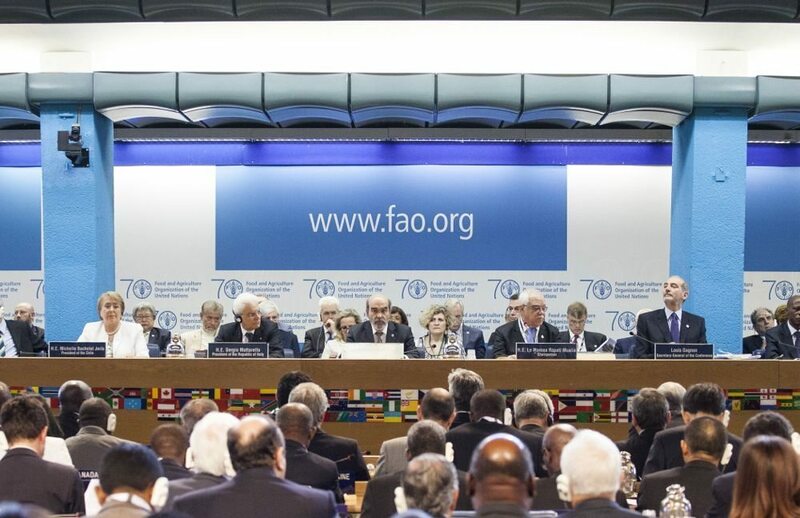 The FAO report, titled The State of Agricultural Commodity Markets, said international trade will play a pivotal role in moving food from areas of surplus to regions where of shortages. Low-altitude areas of Asia, Africa and Latin America are likely to come out losers in terms of the impact of climate change on agricultural production, the FAO said. Yields by 2050 in West Africa could fall as much as 2.9 per cent, it said, and in India by as much as 2.6 per cent. Canada could see agricultural production increase 2.5 per cent by 2050 and Russian agricultural production could rise 0.9 per cent, the report said. Canada could also see its net agricultural exports increase 21.9 per cent, based on the FAO’s modelling. The report also cautioned that by 2050, agriculture on a global scale will have to find a way to increase production by 50 per cent while also reducing greenhouse gases. It suggested subsidies and policies that promote adoption of climate-friendly technologies and practices, as well as hedging tools to guard against extreme weather events.